Allowing your child to play in the sand by themselves and with others helps them to develop fine motor skills like those necessary to use a small shovel, pull a truck, and build a castle or moat. By burying themselves in sand, and feeling their body position within the sand, children are engaging their proprioceptive sense, or the sense of their body relative to space. Writing words in the sand offers a chance to develop language skills. 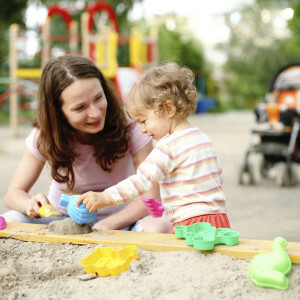 Parents can ask questions to capitalize on the language play that can occur in the sand. Sand play is particularly beneficial for developing a sense of textures. Not only is sand a new and different texture for children to feel on their skin, but the contrast it creates with concrete, grass, dirt, and wood will emphasize the sensation of each surface. Before any outdoor activity, it’s necessary to take certain precautions, and we’ve outlined some safety tips for sand play below. 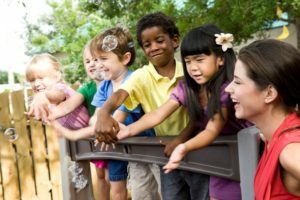 Though there are legitimate reasons to be concerned about the healthiness of sand play, the potential social and developmental positives of unstructured outdoor play like at the beach or in a sandbox outweigh the risks. Visit a beach with a reputation for being clean and strict rules prohibiting littering. Investigate whether play sand is taken from rivers and beaches, and avoid sand composed of ground limestone and crystalline silica. Natural sand usually doesn’t emit dust or leave clothes and hands dusty, while the crushed mineral sand you want to avoid typically does. The safest sand boxes are typically plastic. If you own a sand box, cover it when it’s not in use to keep animals out. Avoid wet sand which can be a breeding ground for parasites and pinworms. Raking sand regularly will help to keep it clean, fresh, and dry. Instruct children to wash their hands after playing in the sand. Sand and water reflect the sun so remember children should wear sunscreen when playing outdoors for any length of time. 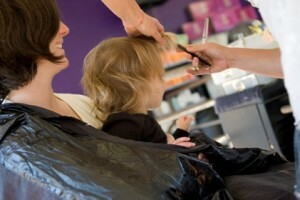 Check out these tips to help make haircuts easier.